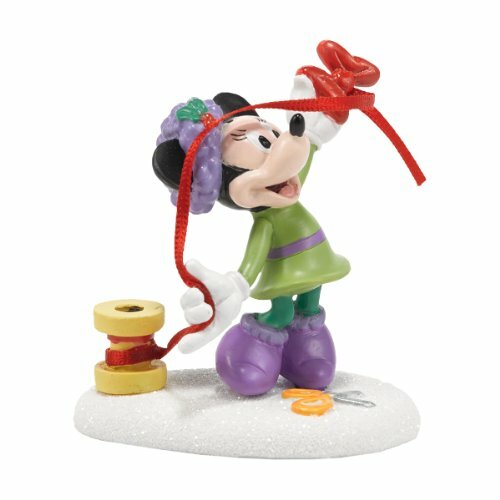 Department 56 Disney Village Minnie's Finishing Touch Accessory, 2.5 inch by Department 56 at Two Clock. MPN: 4038633. Hurry! Limited time offer. Offer valid only while supplies last. Disney Village--Way up north, past the North Pole, is a place full of joy. A place where Christmas fills the air and holiday preparations never end. View More In Collectible Figurines - Page 10. Disney Village--Way up north, past the North Pole, is a place full of joy. A place where Christmas fills the air and holiday preparations never end. Mickey's Christmas Village brings holiday magic to your home with intricate details and sparkling illumination. Santa Muerte Tapestry in Tie Dye 72" x 108"